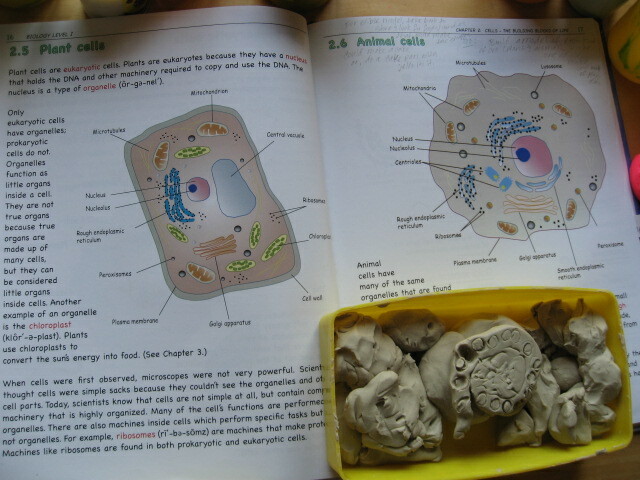 The Fascinating World of Cells! 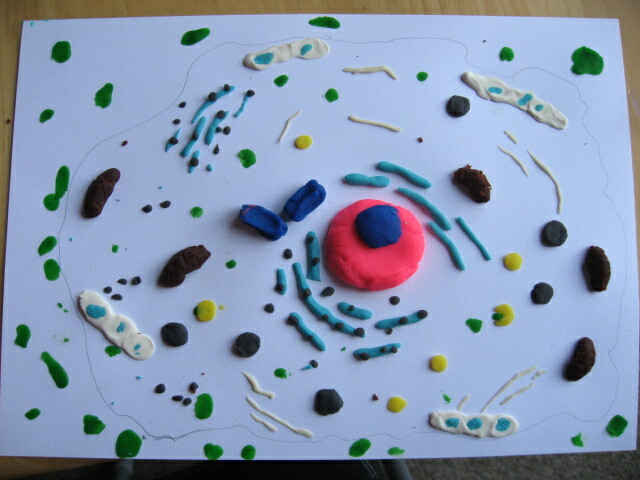 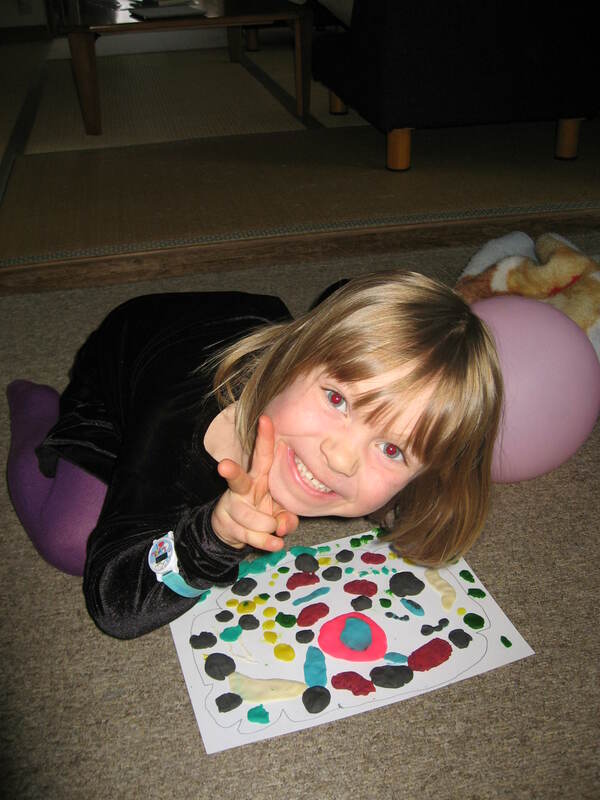 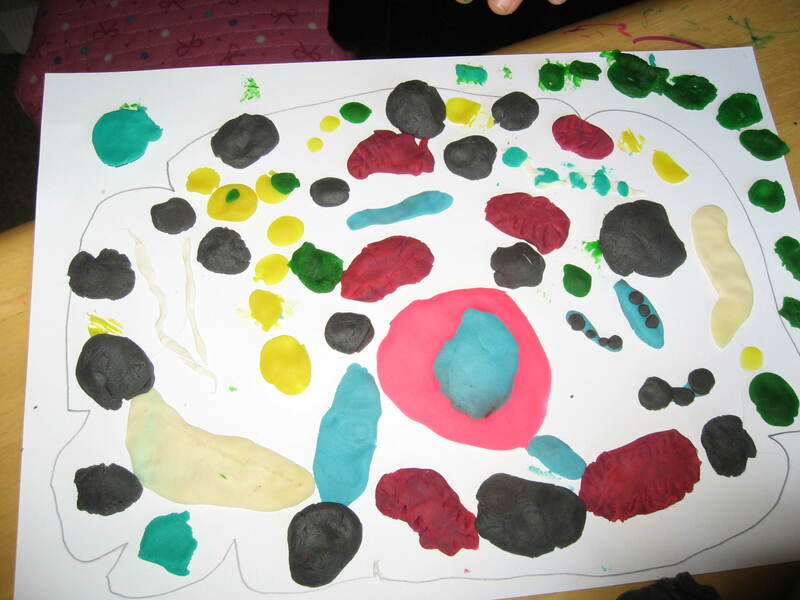 Here are some photos of the kids’ various cell models. 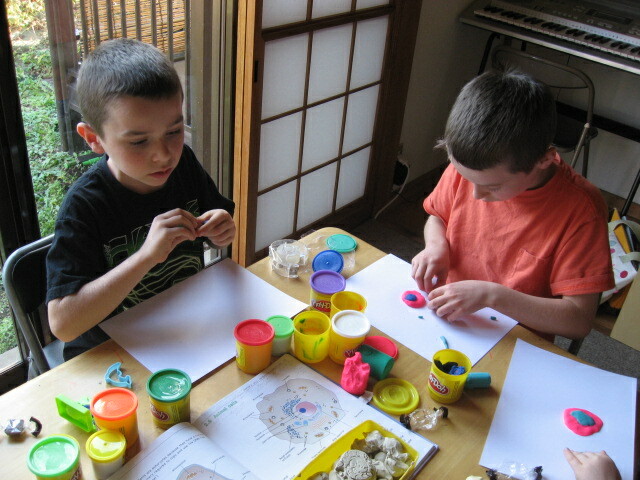 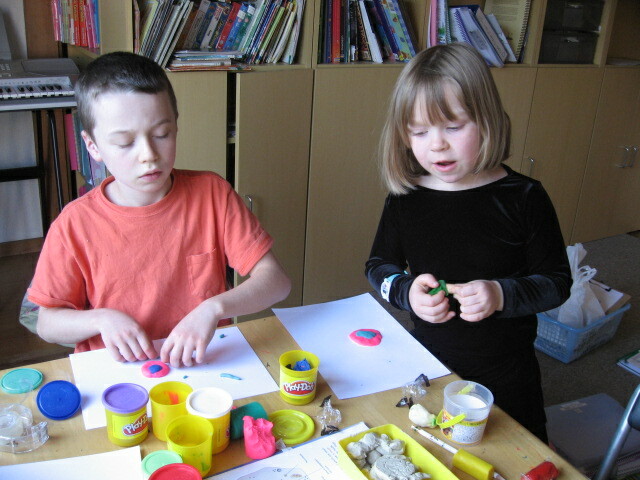 The kids’ finished Play-Doh models. 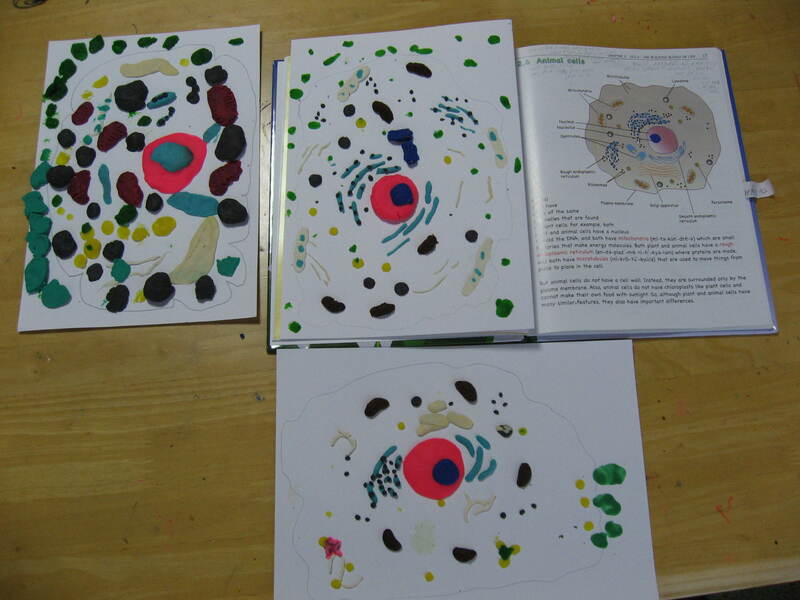 Katie’s project is in the top left, Austin’s is next to it, and Ethan’s is on the bottom. 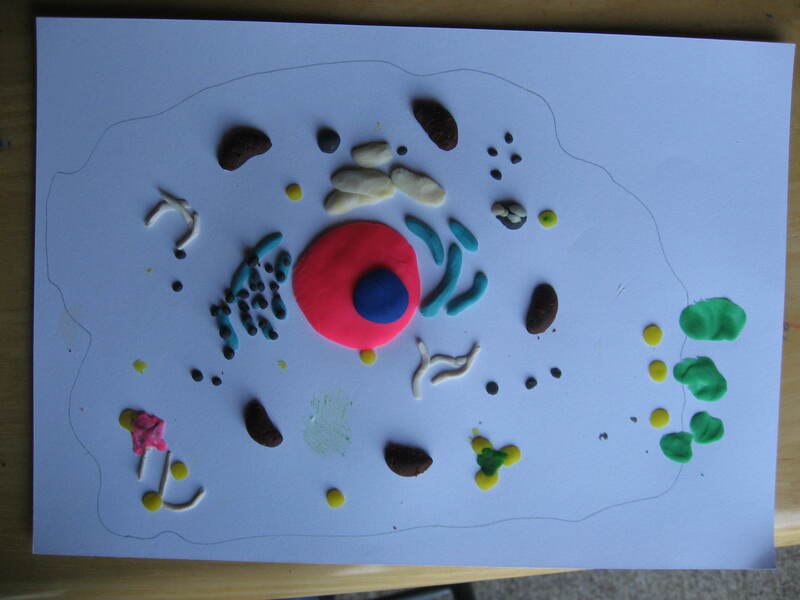 Ethan’s Play-Doh plant cell model. 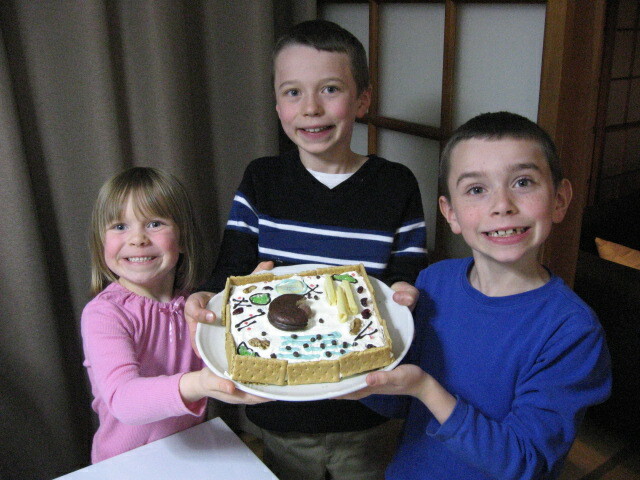 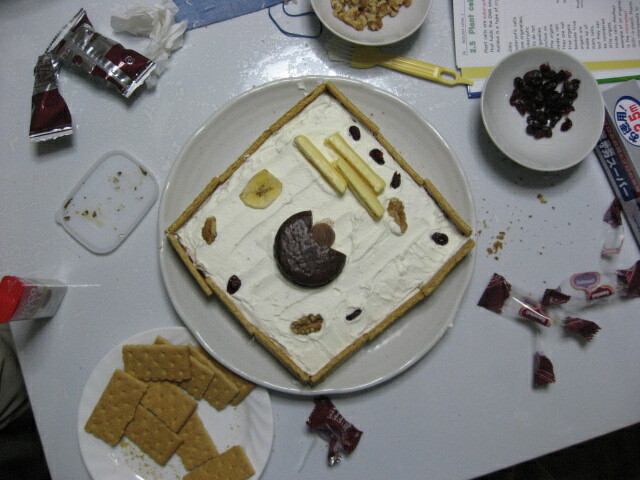 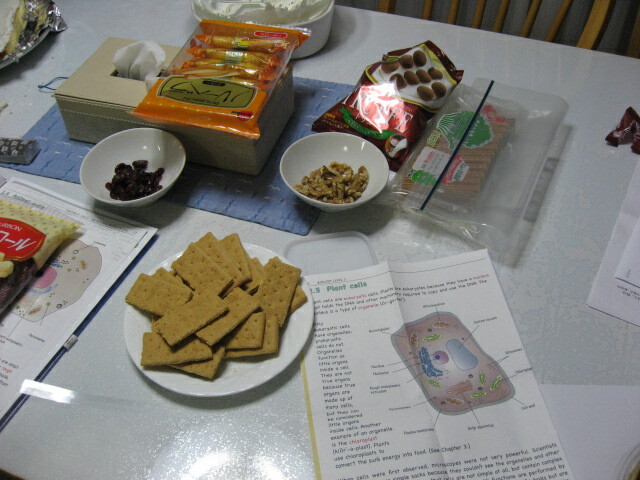 The finished edible cell model with graham crackers as the cell wall and whipped cream as the cytoplasm. 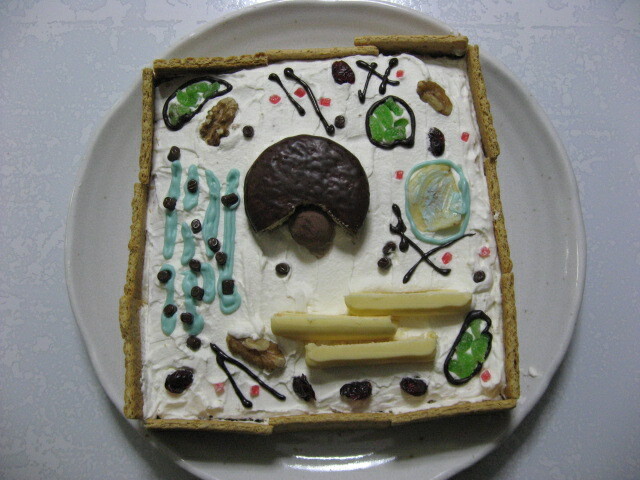 The green part is a chloroplast and the cream-colored cookies are the Golgi apparatus. 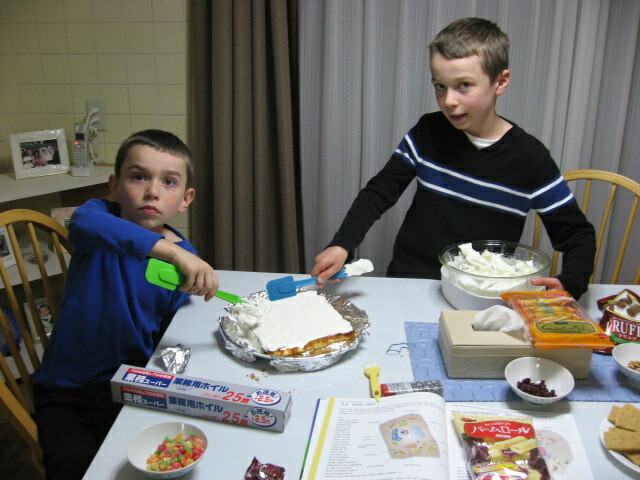 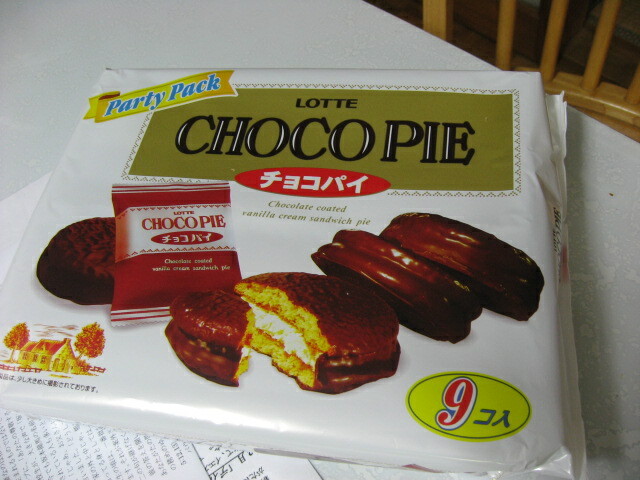 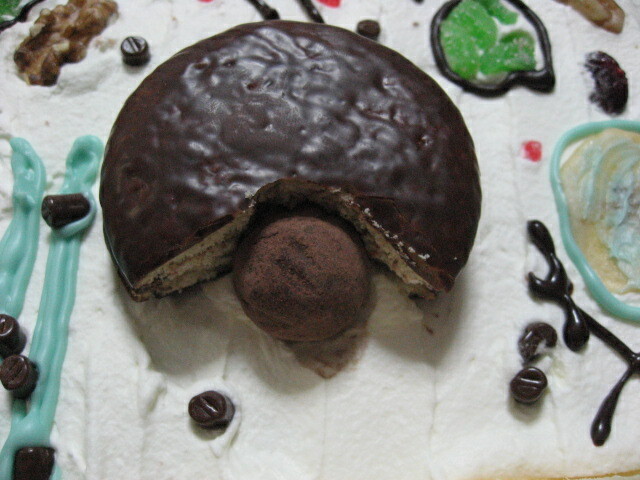 The nucleus was a “Choco Pie” (a popular snack in Japan kind of like a Ding Dong). 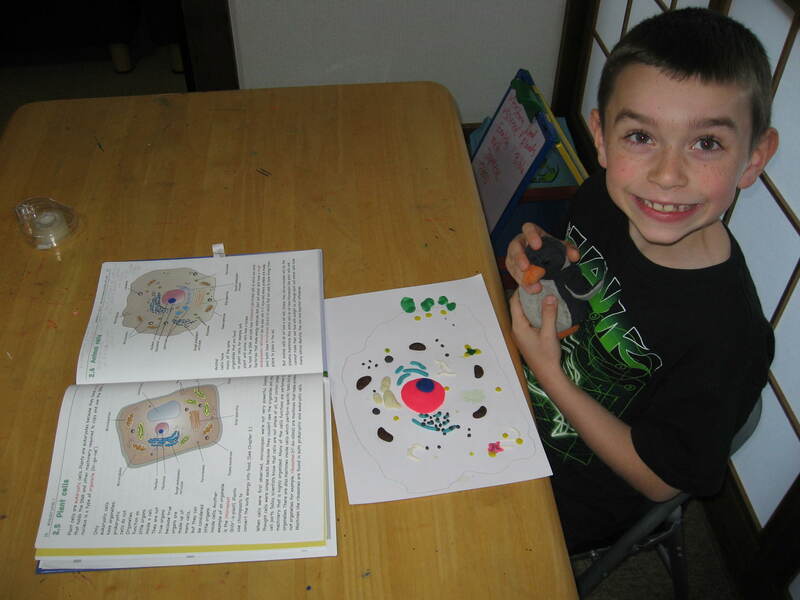 The nucleolus was a chocolate truffle ball! 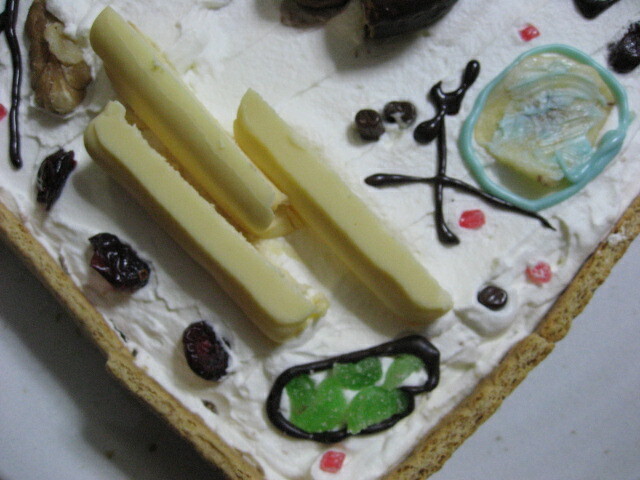 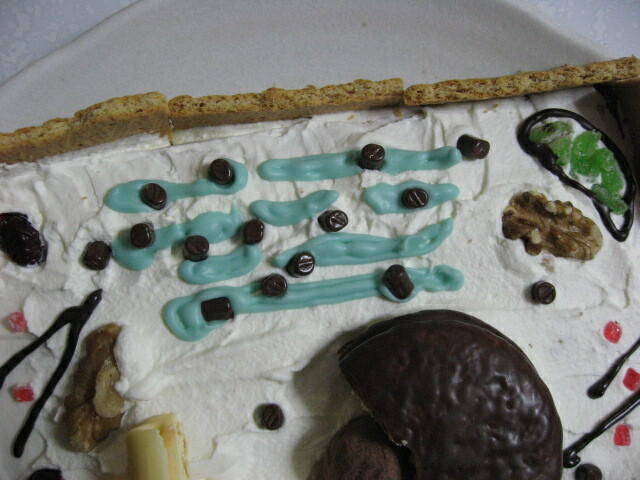 The rough endoplasmic reticulum of our cake model was made with a blue chocolate pen and mini chocolate chips. 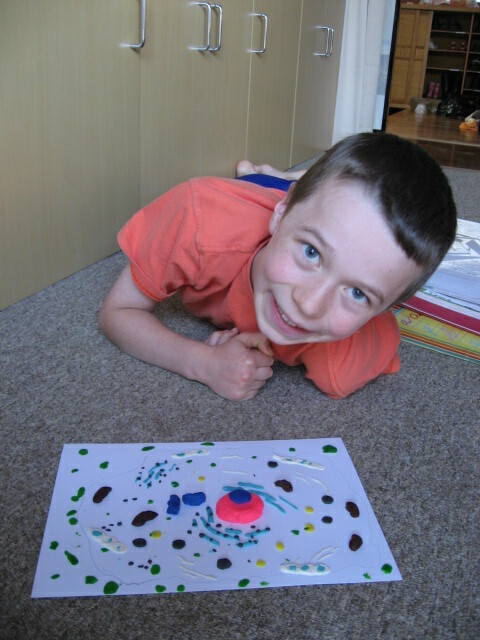 Ethan shows off the pores in the cell wall that let things in and out of the cell. 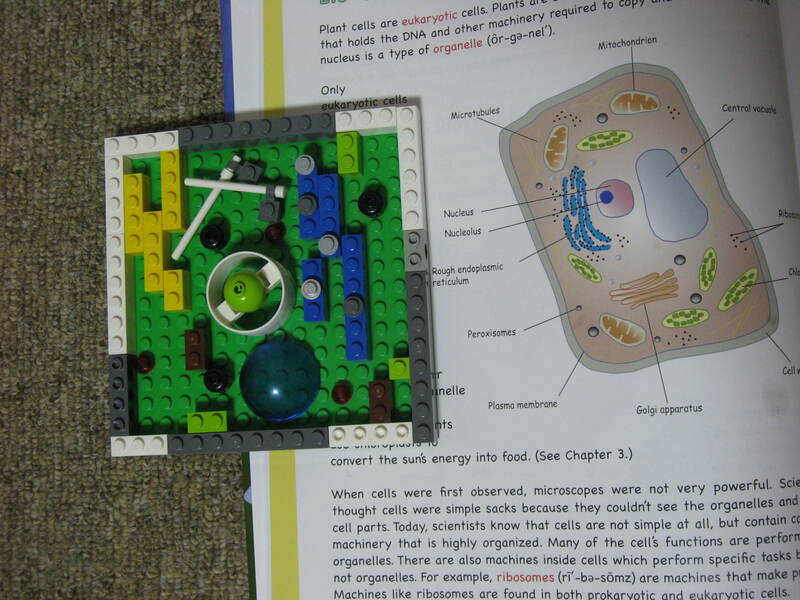 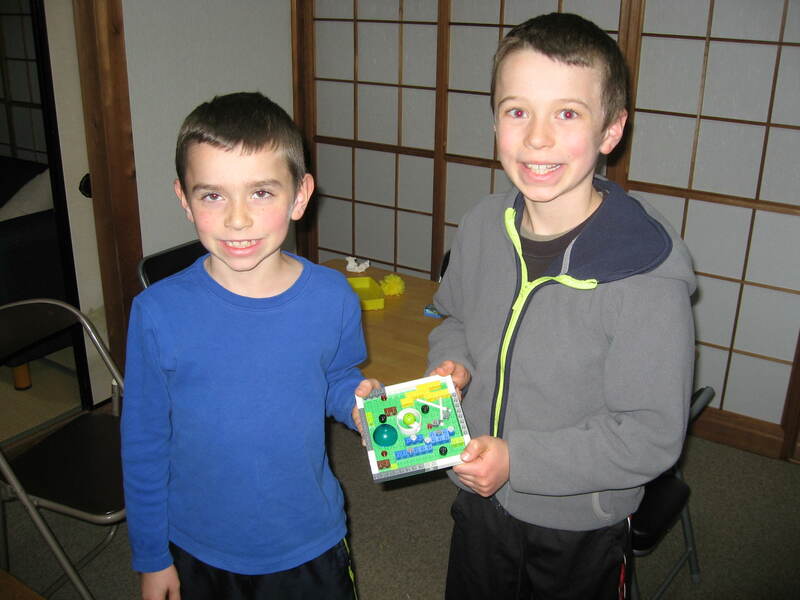 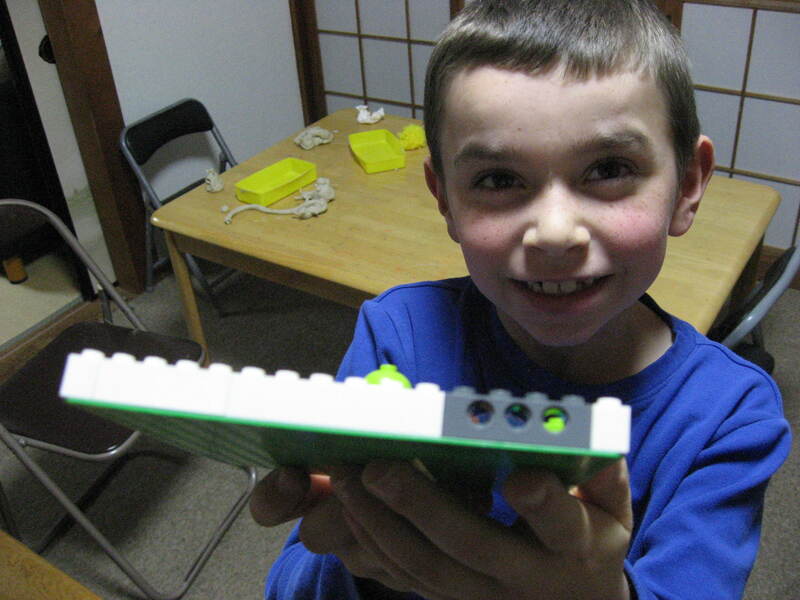 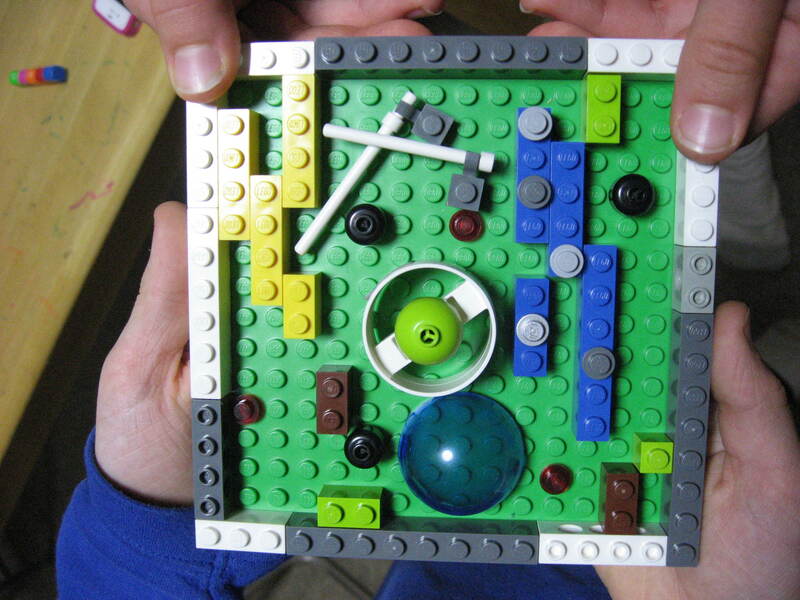 Austin and Ethan’s Lego cell next to the picture from our textbook that they modeled their projects after.